. :Official Internet Home of FYE Motorsports:. The official auto repair shop of FYE Motorsports. Accurate Auto Repair is a reliable and skillful auto repair service based in Hermantown, Minnesota. We offer a variety of automotive services ranging from battery and electrical service to engine diagnostic service & replacement, brake jobs, oil changes, general service, preventative maintenance and more, we can easily fix any car trouble you may be experiencing. The official small engine repair shop of FYE Motorsports. AJ's Complete Automotive offers a smorgasbord of services including oil changes, D.O.T. inspections, engine and transmission work, brakes, tires and custom wheels, accessories, towing, auto sales, diagnostic, fabrication and small engine repair. Be sure to log on to www.AJsCompleteAutomotive.com or stop by at 279 Carson Avenue in Elk River, MN. The official security company of FYE Motorsports. 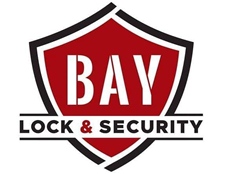 Bay Lock & Security, located in Thunder Bay, Ontario, Canada is a locally owned and operated company that specializes in the installation of Access Control, CCTV and Security Systems. For the best in security, check out www.BayLock.ca. The official body shop of FYE Motorsports. Beltline Body Shop is located at 1133 East 31st Street in Hibbing, Minnesota and is your one stop body and glass repair shop on the Iron Range. Owner Lonnie Olson has been heavily involved in the auto racing industry for many years. The official beer of FYE Motorsports. Superior Beverages was founded in February 1990. We distribute Anheuser-Busch products to large areas throughout Minnesota and Wisconsin. We service the following counties in Wisconsin: Douglas County, Bayfield County, Burnett County, Washburn County, and parts of Sawyer County. In Minnesota we distribute to areas from Moose Lake to Grand Marais on the Canadian Border. These areas include: Duluth, Cloquet, Floodwood, Hermantown, Two Harbors, Proctor, and many other small towns in MN. Recently we have added a number of craft beers to our warehouse. These craft brews include: Captial, Odell, Tallgrass, New Belguim and Alaskan. The official lumber yard of FYE Motorsports. Campbell Lumber and Supply Company is Superior, Wisconsin's only locally owned and operated lumber yard. At Campbell Lumber we supply today's most popular name brand products, along with the superior service you have trusted since 1915. Visit us at 3107 Tower Avenue in Superior or online at www.CampbellLumber.com. The official sports bar and restaurant of FYE Motorsports. Champs Sports Bar & Grill is located in downtown New Richmond, Wisconsin. Champs boasts 45 tap beers, a kitchen that stays open until closing providing a full menu and countless appetizers. Champs also offers pool tables, a jukebox, dart machines and buck hunter, along with 28 flat screen televisions and one projector, where sports fans can be sure to catch their favorite team in action no matter the time of year. Champs also offers a new private room for rent with private bathrooms and your own private bartender for any type of gathering from weddings, bachelor parties, showers, birthdays, graduation parties, reunions etc. Champs is family-owned and offers a one of a kind rooftop patio for outside dining and enjoyment as well. www.ChampsNR.com. The official mining, forestry service and heavy equipment rental company of FYE Motorsports. Locally owned and operated by brothers Colin and Donald Chaschuk since 2006, Chaschuk Enterprises is your source for topsoil and aggregates, mining and forestry services, and operator and heavy equipment rentals in Thunder Bay, Ontario, Canada. When you call for residential, commercial or agricultural services in Northern Ontario, you always speak directly to our owners and receive personalized attention. Contact www.chaschuk.ca for information. The official towing company of FYE Motorsports. Collins Brothers Towing is relatively new to the St. Cloud area. Collins Brothers Towing continues to grow while still providing you with great service. Offering 24/7 emergency towing and roadside assistance, Collins Brothers Towing goes the extra mile to assure you the absolute best experience. Fans can check out their website at www.CollinsOfStCloud.com. The official freight moving company of FYE Motorsports. DLS Worldwide provides full truckload, partial truckload, less-than-truckload (LTL) and a range of specialty services that will bring visibility, velocity and value to your supply chain along with a host of international services that will increase your global range and reach. To request a shipping quote, please log on to www.DLSWorldwide.com and enter promo code Racecar. The official Coop of FYE Motorsports. Envision Cooperate, headquartered in Rugby, North Dakota offers a full line of energy products such as gas, fuel, propane and lubricants, crop nutrient and crop protection products, seed, field application, grain handling equipment, tires, automotive service, hardware, livestock equipment, feed supplements, convenience stores and other products and services too numerous to mention with a primary purpose; to enhance the economic well-being or our member-owners. www.EnvisionCooperative.com. The official service station of FYE Motorsports. Extreme Auto, located at 330 East Minnesota Avenue in Glenwood, Minnesota is a proud member of the Auto Value certified service center network and is committed to customer service for whatever your needs may be. Please contact Mark at (320) 634-0606. The official podiatrist of FYE Motorsports. Foot & Ankle Clinic's mission is to provide complete medical and surgical care of foot and ankle disorders in adults and children. We strive to set the highest standards for excellence in treatment, outcomes, service and patient satisfaction. It is our goal to provide convenient, quality, and cost-effective care for the St. Paul Region. Please log on to www.FootAndAnkleClinics.com to request an appointment. The official grain hauler of FYE Motorsports. 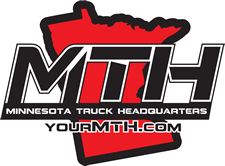 Garberich Trucking, located in Danube, Minnesota specializes in grain handling and hauling and offers up tremendous support of local auto racing teams and events across Central Minnesota. 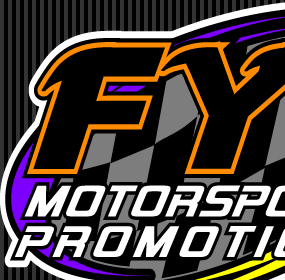 Dan and Casey are excited to be on board with FYE Motorsports. The official stats provider of FYE Motorsports. Owner of GRP Motorsports, Greg Parent, a lifelong race fan and official with the Upper Midwest Sprint Car Series, has been involved in racing his entire life and provides a substantial amount of support to many race teams, series, tracks and events. The official drill cutting and fluid hauler of FYE Motorsports. G-Style Transport is the leader in hauling drill cuttings and drilling waste fluid in North Dakota. We haul aggregate, drill cuttings, drilling fluid, fresh water, production water, equipment, pipe and anything else our customers need to move. Contact www.gstyletransport.com for information. The official Ford dealership of FYE Motorsports. Visit Henryetta Ford in Henryetta, Oklahoma for a variety of new & used cars, parts, service, and financing. We are a full service dealership, ready to meet you and earn your business. Shannon Scott and his team will find what you are looking for with zero hassle and will make your next vehicle purchasing experience one you will enjoy from start to finish. Visit us online at www.HenryettaFord.com. The official sign shop of FYE Motorsports. JigE Signs & Graphics is a full service sign shop based out of Menomonie, Wisconsin. We specialize in eye catching, signs, logos, vehicle graphics, race car wraps, gokart wraps, magnetic signs, store fronts and anything else in advertising your business. For your needs, call Josh at (715) 556-2677. The official Western Wisconsin Realtor of FYE Motorsports. Jim Moe has been working in real estate for 32 years throughout St. Croix and Polk counties in Western Wisconsin. With his extensive knowledge of the area, he am proud to have helped over 2,000 families and businesses sell or purchase properties. Along with his daughter, Gina, and son, Jeremy, the Moe family offers professional services suitable to your specific real estate needs. Visit www.JimMoe.com for your next property purchase today. The official apparel headquarters of FYE Motorsports. The home office of Joe Provo Race Wear is located at 1947 Creek View Ct., Chanhassen, MN, 55317. The telephone number is (952) 992-0227. Customers can check out the myriad products available on the company website at joeprovoracewear.com, or get in touch with Provinzino at joe@joeprovoracewear.com. The official Energy Drink of FYE Motorsports. The official chassis of FYE Motorsports. Starting in 2012, Jimmy Mars Racing branched out and started to build MB Customs Modifieds. Designed by Jimmy Mars, Chris Mars, and A.J. Diemel, the new MB Customs Modified has taken the country by storm and has won numerous WISSOTA, USMTS, IMCA, and UMP feature events. Drivers piloting MB Customs machines are definitely turning heads at racetracks across the country! Visit www.MarsRaceCars.com for more information. The official water/sewer service of FYE Motorsports. M&B Services, Inc, located in Wyoming, Minnesota, is a multi-functional company that specializes in Water and Sewer Repair and Replacement, Excavating and Demolition. We also feature the Perma Liner Cure-In-Place Pipelining system. We go the distance to exceed your expectation. The job is not complete until the customer is 100% satisfied. For an estimate, call us at (651) 248-1697 or online at www.mb-servicesll.com. The official logistics company of FYE Motorsports. Las Cruces, New Mexico based Mesilla Valley Transportation is one of the largest locally owned transportation providers in Western Texas and New Mexico. They specialize in sensitive service between major manufacturing areas in the US and Canada and Mexico borders. Fans can check out Mesilla Valley Transportation website at www.M-V-T.com. The official sheet metal company of FYE Motorsports. Located in the heart of Ozark Mountain Country, Midwest Sheet Metal is a family owned and operated business specializing in the design and custom fabrication of carbon steel, stainless and aluminum products. We have one of the area’s largest in-stock inventories of steel, aluminum, stainless and structural shapes. 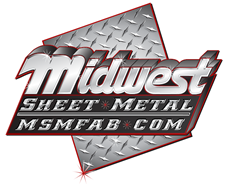 Midwest Sheet Metal is dedicated to producing quality, custom designed fabrications with craftsmanship second to none. Check them out at www.MSMFab.com. The official truck headquarters of FYE Motorsports. The official conveyor belt of FYE Motorsports. Northern Belt and Conveyor, located in Eveleth, MN, has proudly served the Midwest region since 1996. Northern Belt & Conveyor specializes in fabric and steel cable splicing, repairing and belt change out. Northern Belt & Conveyor prides itself in that our experienced crews have SAFELY done thousands of fabric and steel cable splices. We have the right tools & equipment to install, replace and to spool the used belting for convenient storage and transportation. Check us out at www.NorthernBelt.com. The official fitness equipment outfitter of FYE Motorsports. Since 1995, the staff at Northern Fitness Solutions has been outfitting the Upper Midwest with a complete line of quality exercise equipment. Northern Fitness Solutions services Minnesota, Northwest Wisconsin, North Dakota, South Dakota and the Upper Peninsula of Michigan by outfitting health clubs, hotels, schools, corporate fitness facilities, tribal facilities, police stations, fire departments and hospitals to name a few. Check out www.NorthernFitnessSolutions.com to see what they can do for you. The official custom farming company of FYE Motorsports. Olsen Custom Farms is located in southwestern Minnesota in the small community of Hendricks. Owners Chad and Pam Olsen employ approximately 50 people and between the custom harvesting and combine rental businesses, they currently run 80 plus combines from Texas to Canada harvesting wheat, milo, canola, corn and soybeans and haul the grain as needed. Visit online at www.OlsenCustomFarms.com. The official media partner of FYE Motorsports. RacinDirt launched in 2010 and has been a leader in on demand and live video coverage. Trenton and Ashley Berry along with Austin and Leslie Krueger created RacinDirt to specialize in live and on demand video of Dirt Modified and Dirt Late Model action. Check out www.RacinDirt.com for more information. The official coffee of FYE Motorsports. Red Headed Rebel Brew is a company dedicated to providing game changers, rule breakers and rebels with the coffee that will help you push the limits that stand in your way. Fuel for entrepreneurs. We are a division of Red Headed Rebel, LLC, a Jamestown, North Dakota company. Fans can check out www.RHRBrew.com to sign up for a weekly or monthly delivery of Red Headed Rebel brew coffee with one of their subscription packages. The official motorsports swag provider of FYE Motorsports. RHRSwag is a company dedicated to offering great product to racing fans and racers. They are a division of Red Headed Rebel, LLC, a Jamestown, North Dakota company. Their mission to make people’s lives better by practicing their companies guiding principles, which includes Delivering Wow, Transparency, Learn & Grow, Take Risks, Create Fun and Be Humble. Be sure to check them out at www.RHRSwag.com. The official wristband supplier of FYE Motorsports. The official oil and gas fishing and rental service of FYE Motorsports. S&S Fishing & Rental, located in Andrews, Texas is your one stop shop for tools, equipment and on site services for the oil and gas industry. We are a leader in the industry, providing innovative and cost-effective industrial solutions. We are professional, competitive and competent in our services and aim to provide a quality service to our clients. Check us out at www.SSFishingRental.com. The official residential and commercial restoration service of FYE Motorsports. With over 1,700 Franchises nationwide, SERVPRO is a leader in the restoration industry and its professionals are faster to any size disaster. SERVPRO Franchise Professionals are available 24 hours/7 days a week and are ready to restore or clean your property. For any water, fire or storm damage, mold remediation or professional services, be sure to call the true professionals SERVPRO. Check out www.SERVPRO.com for information. The official Chevrolet dealership of FYE Motorsports. At Southworth Chevrolet Inc, we do everything we can to make buying and maintaining a vehicle is as easy as possible. Our website is part of our ongoing effort to provide our customers with the most modern and convenient access to useful information and satisfying service. If we don't have the car in the color you want, our sales team will help you find it. Besides viewing our inventory, you can order parts, get a quick quote, and see if you pre-qualify for financing right here online. We can even set you up with quality GM tires and accessories. Visit us today to experience our first-class service; we also welcome you to set up a service appointment from our website before you make the drive. No matter what you're looking for, Southworth Chevrolet Inc is bound to have it. Come visit us at 810 Martin Rd, Bloomer, WI 54724 today or log on to www.SouthworthChevrolet.com. The official used auto parts headquarters of FYE Motorsports. St Cloud Auto Wrecking LLC is an automotive dismantling yard that sells quality used, new and rebuilt auto parts specializing in quality late model new, used and rebuilt auto and light duty truck parts at an affordable price. Contact us at www.StCloudAutoWrecking.com or stop in at 1325 29th Avenue NE in Sauk Rapids, MN for all of your auto parts needs. Superior Fuel Company. The official fuel company of FYE Motorsports. Superior Fuel, headquartered in Duluth, Minnesota, provides their customers with better value and pricing on propane and heating oil. By operating their business in a manner that is honest and transparent, they will build a rapport with their customers ensuring continued business long into the future. They will strive every day to exceed your customer’s expectations, and demonstrate the highest degree of professionalism and reliability in the industry. The official insulator of FYE Motorsports. At ThermoSeal Insulation you'll get high-quality insulations for your residential or commercial needs. Let our certified and experienced professionals insulate your spaces by keeping you cool during the summer and warm during the winter. Enjoy comfortable temperature with our efficient insulations for cost-effective prices. Get your space thoroughly insulated by a certified installer in town. From homes to small offices to big commercial buildings, we have you fully covered with our quality services. Call 320-905-7773 or visit www.thermosealinsulationmn.com for a FREE estimate. The official racing fuel distributor of FYE Motorsports. TJ's Oil & Racing Fuels is located in Hayward, Wisconsin and offers servicing for logging, industry, excavating, fleet and passenger car oils and racing fuel and oils. Contact TJ at 715 558-3023 for all of your oil and fuel needs. The official bowling alley of FYE Motorsports. Village Lanes has 12 lanes with Pro Shop, grill and lounge. Have your event here, birthday party, shower, anniversary and more. Fun for the whole family. We offer bowling fun for all ages and have a variety of leagues throughout the year. Be sure to stop in for some fun at 6419 Tower Avenue in Superior, Wi or visit us online at our Facebook page. The official racing products provider of FYE Motorsports. Wehrs Machine & Racing Products is a company that was founded by owner Chad Wehrs’ love of creating parts out of metal. After more than 15 years in business, Wehrs Machine & Racing Products is still going strong, making the finest Racing Products in the World! Fans can check out www.WehrsMachine.com for all of their racing product needs. The official bike sponsor of FYE Motorsports. West Metro Buick GMC, your certified Buick, GMC dealer serving drivers throughout Monticello, Mn and the surrounding areas. At our dealership, you’ll find a solid selection of new Buick, GMC for sale, as well as a carefully inspected lineup of pre-owned vehicles. We also have a well-connected finance center run by a qualified team of finance experts, who can help you get the right loan or lease in a quick, easy, and transparent manner. If you have any questions for us, you can always get in touch at 763-219-8648 or www.WestMetroAuto.com. The official candy toss sponsor of FYE Motorsports. Winning Edge Graphics has been offering professional graphic and design services to the community of Alexandria, MN since 1980. They create custom designs and develop brands for a vast array of companies and events in Alexandria and surrounding areas.